It looks like Division Brand are working on their first set of hubs called the Tactical hubs. Not a lot of detail other than it looks to be a unique hub shell design, cassette with a male axle in the rear, female axle up front and colors of black and polished. Check out more photos right here! 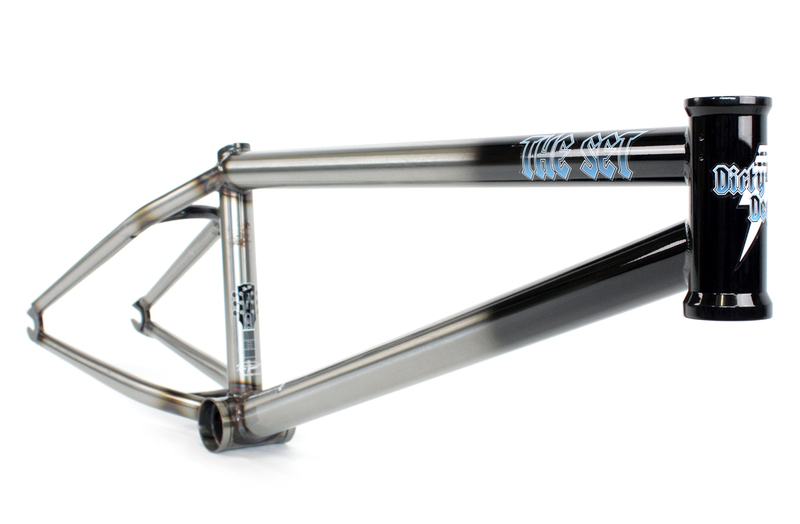 The Mad Max bars have been apart of Wethepeople‘s line since 2008 to cater to Max Gaertig’s style with a towering (at the time) 8.7″ rise. Not a lot has changed with the bars since, but for this year Max and Wethepeople decided it was time to sit down and revamp them to something new. Here we have a sneak peek look at just what they cooked up. These updated bars are made from 4130 “M2″ chromoly with a full liquid post-weld heat-treatment, a rise of 9.5″, width of 30”, 11-degrees of backsweep, 1.5-degrees of upsweep and a weight of 1.8 lbs. The 2015 Mad Max bars will be available in gloss black, translucent green, translucent blue and black Titan later this month. I have a feeling there are some tears of joy coming from a few of your older guys out there! Above is a sneak peek look at the new Angel of Death frame that FBM is cooking up. This frame uses the same look as the original with the wishbones of the seat and chain stays, but uses a mid bottom bracket, integrated head tube and I’d assume much lighter tubing than the original. Full specs and details will be released further down the road when these are close to release. 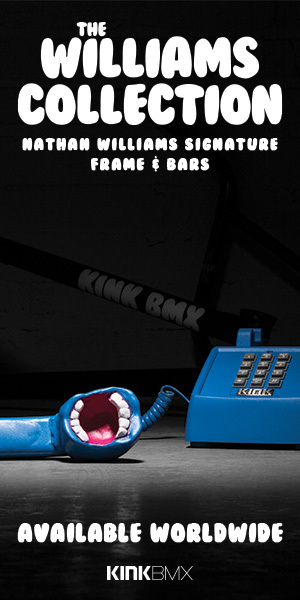 “When We started making frames, we wanted to make something strong, functional, and totally awesome. What we came up with was the Angel Of Death, and years later, it’s back! With final details still pending, we have this spy shot of one of 3 existing NEW Angel of Death frames made in house at FBM Machine Shop! Keep an ear to the ground for more information! Fly Bikes dropped a preview of their 2015 Proton Complete bike, along with it’s 3 color options; flat Military green, flat Mustard yellow and flat black! Get more info below and check out the other colors after the jump! “The third bike in our 2015 range of complete bikes, the Proton. For this year we have given this bike a full chromoly setup with the frame, bars and fork, decked it out with Trebol and Flybikes parts and given it three new color options. The Proton is ideal for taller riders or riders that are looking for a more stable geometry. This bike features a 21” top tube length, a 13.60” chain stay length, a 32mm offset fork and big 8.75” rise bars with a top load stem to bring the bars up even higher. This bike also comes with our Manual brake lever, cable and the new Manual Springhanger brakes. 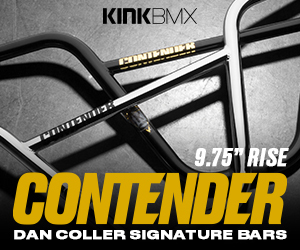 Here’s an exclusive first look at Kym Grosser’s new signature frame from The Set that will be landing in Australia and most of Europe in the next 4 weeks with the rest of the world shortly after! Make the jump for more photos and full specs and details! Here’s a little sneak peek action for you. Mutiny Bikes is doing more than just camo for their stems this year. Here’s a look at the Pentra sprocket that will be available in this camo color with sprocket sizes of 25, 27, 28 and 30 tooth along with 19mm and 22mm spline drive spindle sizes. If you aren’t feeling camo, black and polished are going to be available as well. Out in August! Sample time! Check out the new Pentra sprocket in Camo. Available in 25,27,28,30T. 19mm or 22mm spline drive. Black, Polish and Camo. Available in August. Here’s a sneak peek look at the Fit Shawn McIntosh signature Mac PC pedals in this red / black splatter color we spotted over on The Merged. These pedals should be out soon!